Dr. Michelle Haven will deliver the address during the MU College of Veterinary Medicine commencement May 13. Haven earned an undergraduate degree in animal science and DVM from the University of Illinois and a doctorate in physiology with a minor in pathology from North Carolina State University. 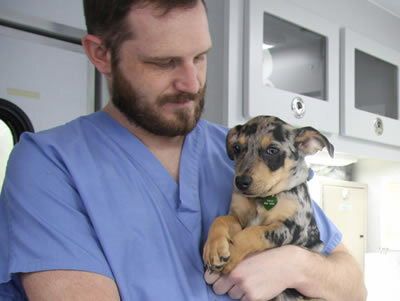 Following completion of a large animal internship at the University of Missouri and three-year residency in surgery at North Carolina, Haven obtained specialty board certification in the American College of Veterinary Surgeons (ACVS). She has worked in the animal health industry for more than 20 years. As a research fellow at Merck Animal Health, she led early research programs that progressed to three animal health products. She joined Pfizer Animal Health in 1997 and was appointed to positions of increasing responsibility, leading to head of global research for animal health pharmaceuticals and biologicals in 2003. Research programs progressed under her leadership led to animal health products in the areas of cancer, pain, inflammation, gastric ulceration, emesis, anti-infectives, obesity and allergy. In 2007, Haven accepted the position of vice president global business development, alliances and strategic planning with Pfizer. 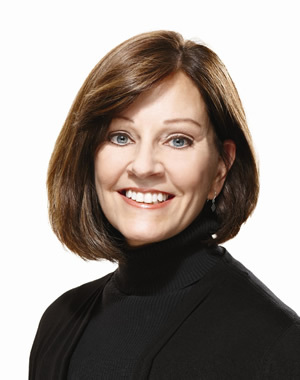 With the spin-off of the animal health division from Pfizer in 2013, Haven was appointed senior vice president of corporate development, alliances and solutions for Zoetis with responsibility for global business development, external alliances, strategic planning and business service offerings. She led multiple business development transactions to support the growth of Zoetis, most notably the 2014 acquisition of Abbott Animal Health, and the $765 million acquisition of PHARMAQ, the global leader in vaccines and innovative products for aquaculture. She and her team established multiple alliances focused on open innovation, enhancement of veterinary standards, and expansion of networks to detect emerging infectious diseases. Research alliances included multi-party consortia for cattle mastitis and reproduction and emerging disease and food safety research collaborations. Partnerships established with universities and foundations to advance veterinary education include the International Veterinary Collaboration for China, the Cornell Leadership Program, the University of Missouri Veterinary Research Scholars Program, and collaboration with the Morris Animal Foundation and several colleges of veterinary medicine to provide competitive scholarships for veterinary students pursuing an advanced degree in research. Haven recently retired from Zoetis and is now engaged as a part-time consultant for business development and strategic planning to animal healthcare businesses and organizations. Haven said that her original goal was to remain in academia and specialize in equine surgery and research. However, upon completion of her doctorate, she was recruited aggressively by Merck Animal Health as her areas of specialization were strongly aligned with the company’s research foci. She realized that industry was a good fit for her goal-oriented personality, and that it allowed her to make a far-reaching impact on animal health. Using the Guy Clark song, “The Cape” as a theme, she plans to focus her comments to the CVM Class of 2016 on her personal experiences and approach to new opportunities, and the many avenues available for veterinarians to have a positive impact on our world. Graduation will be held at 1 p.m. in the Jesse Auditorium.